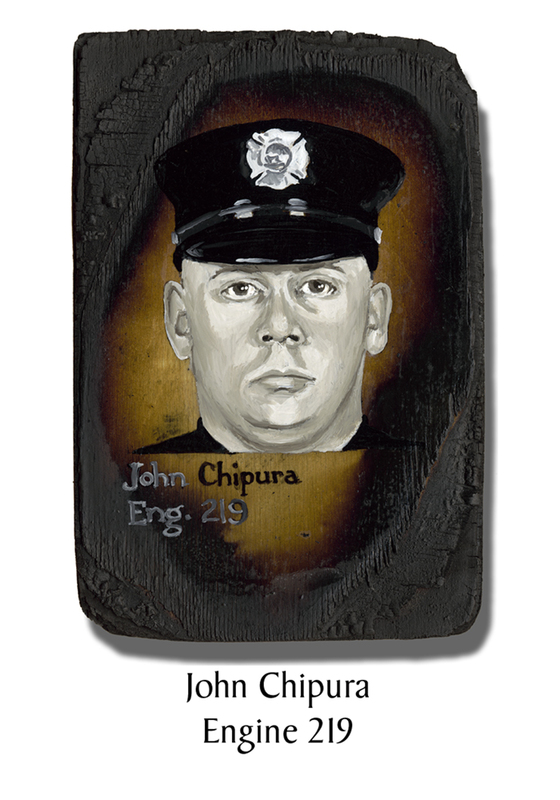 John Chipura, 39, was a Marine from 1980 to 1987. He survived the bombing of the Marine barracks in Beirut but it was three days before he could get word to his family that he was safe. For them, 9/11 was eerily familiar, but this time no phone call ever came. He spent 12 years in the NYPD, finishing up as a Detective before he made the move to the FDNY in 1998, following the footsteps of his father. His brother said, “He always thought people call the Police Department when there’s a problem, to get somebody bad, but you call the Fire Department when people needed help.” He was recently back in Engine 219 after rotations elsewhere. Chipura’s sister worked on the 69th floor of Tower One. Although he kept trying to reach her that morning and couldn’t, she safely evacuated. He was getting married in just six weeks and that had been his main focus for the past few months. That morning he was sent to respond with Ladder 105, while the others on Engine 219 responded to a call downtown Brooklyn before going to lower Manhattan. This entry was posted in Better Angels Stories and tagged 343, 9/11, better angels, Dawn Siebel, Engine Co. 219, FDNY, firefighter, firefighters, firefighters of 9/11, John Chipura, Ladder Co. 105, LODD, Manhattan, memorial, NFFF, paintings, portraits, World Trade Center, WTC. Bookmark the permalink.